COLORADO SPRINGS, Colo. – While rodeos may look like rough and tumble productions, rodeo performances require an army of knowledgeable people who must move quickly and with precision. Everyone must know exactly where to be and when, but at the same time they must be prepared for whatever might happen – because anything can. In order for this all to happen a rodeo must have a dedicated leader and a dedicated band of volunteers willing to step in and do whatever is required. The John Justin Standard of the West Award program, developed in the late 1980s, annually recognizes 100 behind-the-scenes recipients for their outstanding volunteer contribution to their local rodeo, with a grand prize winner being named the Justin Committeeman of the Year. 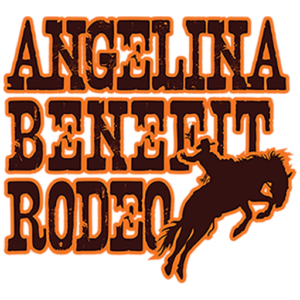 Mike Mathis, rodeo coordinator for the Angelina Benefit Rodeo in Lufkin, Texas, has been named the 2015 Justin Committeeman of the Year. Mathis, a full-time PRCA Rodeo Announcer has been a member of the rodeo committee for 40 years. "I was really shocked when I learned the news," said Mathis. "Those guys in the Lions Club should have nominated someone else as they all put in so many countless hours to make this rodeo work. I am just lucky enough to be a part of it but without all the volunteers and community support, we wouldn't have been able to grow into the rodeo we are today. "I will definitely be accepting this award on behalf of all of them." Following college, Mathis moved back to Lufkin and joined the Lions Club and as they say the rest is history. "After college, I moved home and knowing my rodeo career wasn't going to pay the bills got a job at the bank," stated Mathis. "I got involved in the rodeo and offered some ideas to make it better and luckily for me they were open to trying them. Of course they also selected me to be the rodeo coordinator and now it has been 40 years. That is a bit hard to believe. "I can't say enough about the guys in the Lions Club though. Each year we raffle off a RAM truck and the tickets are $1 each. The guys dedicate a month to promoting the rodeo and selling these tickets. One year they sold 48,000 tickets for the truck. These are doctors, lawyers, and businessmen that jump right in and help do whatever is needed including running the concession stands." During Mathis' time a nice building was built where the rodeo is held and has proven to be a great economic boom to the community. The rodeo has also proven beneficial to Mathis on a professional level as well. "While working at the bank, I was doing some announcing at amateur rodeos that over time led to other events that led to allowing me to leave banking and become a full-time announcer," noted Mathis. "So being involved in the rodeo in Lufkin, has also provided me an avenue to a profession in the sport." Mathis has announced rodeos from New York to California and from Florida to his home state of Texas. He serves as the contract personnel representative on the National Finals Rodeo Committee for the PRCA. "Mike began announcing the rodeo in 1976 and since that time he has spent countless hours overseeing the rodeo as the official coordinator, running kickoff and planning meetings and motivating volunteers to push hard and exceed the goals for the rodeo," said Ben Moore, Chairman of the Lufkin Benefit Rodeo. "Mike has promoted the rodeo while on the national circuit and fought hard to bring the best talent to our rodeo each year." Each year, 100 PRCA rodeos are selected to participate in the John Justin Standard of the West Award program with each one selecting an outstanding volunteer. Each recipient is awarded a custom embroidered pair of Justin Boots in recognition of their excellence. Then each October a ballot listing the 100 recipients is sent to every PRCA rodeo committee to vote for the Justin Committeeman or woman of the year. “The Justin Boot Company takes a great deal of pride in our various programs designed to recognize those who not only support our western lifestyle, but go above and beyond in their individual contributions and dedication to the sport of pro rodeo. The Justin Boots’ Committeeman of the Year holds particular significance for us, as it was initiated by John Justin, Jr., a life-long supporter of rodeo and former rodeo committeeman and chairman with the Fort Worth Stock Show and Rodeo. We salute the efforts of Mike Mathis in carrying this legacy forward,” said Randy Watson, Chairman and CEO of Justin Brands. The Professional Rodeo Cowboys Association sanctions approximately 600 rodeos each year and appreciates the hard work and dedication that committee members and volunteers put in each year to make their rodeos happen. With product lines including Justin Bent Rail™, the Stampede Collection™, the George Strait Collection™, and the Justin AQHA Lifestyle Collection™ – along with a prominent focus on producing best-in-class products handcrafted in the U.S. – Justin® Boot Company has been the leader in high-quality western footwear incorporating industry-leading boot technology for 135 years. The PRCA, headquartered in Colorado Springs, Colo., is the largest and oldest professional rodeo-sanctioning body in the world. The recognized leader in ProRodeo, the PRCA is committed to maintaining the highest standards. The PRCA, a membership-based organization, sanctions approximately 600 rodeos annually, and there are more than 30 million fans in the U.S. The PRCA showcases the world's best cowboys by televising the sport's premier events, including the Wrangler Champions Challenge and the world-renowned Wrangler National Finals Rodeo on CBS Sports Net (DISH channel 158, DirecTV channel 221). The Justin Boots Playoffs and Championships, Ram National Circuit Finals Rodeo, All American ProRodeo Finals, and the PRCA Xtreme Bulls Tour will also air on CBS Sports Net, as well as live stream at wranglernetwork.com. PRCA-sanctioned rodeos raise more than $26 million for local and national charities. For comprehensive coverage of the cowboy sport, read the ProRodeo Sports News, the official publication of the PRCA, and for daily updates of news and results visit the PRCA's official website, www.prorodeo.com.